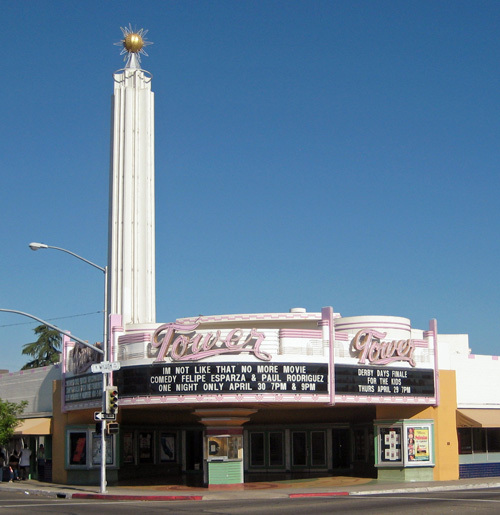 The Tower Theatre is the most dramatic example of the Streamline Moderne style in Fresno. It is an example of late-1930s suburban theaters designed by Los Angeles architect S. Charles Lee (1899-1990). The Tower was Lee's only completed project in Fresno. A complete restoration of the exterior facade, ongoing tenant improvements in the retail wings, and modifications to allow the adaptive reuse of the theater auditorium for the performing arts was honored with a California Preservation Foundation Award for Outstanding Achievement in Restoration, and an Award of Honor from the San Joaquin Chapter, American Institute of Architects.